A "No Times Available" response is issued to all requests greater than 7 days ahead. All rates offered through the links below are valid when reserving tee times online and do not reflect the pricing of "walk in" or "phone" reservations. Please wear golf appropriate clothing. Soft Spikes and Collared shirts preferred. Shorts and Jeans are acceptable as long as they are not ripped or torn. Shirts with cut-off sleeves or tank tops are not allowed. All clothing must be in good taste and may not be overtly offensive. Tee times must be cancelled at least 24 hours in advance. Any group booking of more than two foursomes must be made by calling the golf course. Group bookings may be altered at management discretion. View the DuPage Golf Spectator Policy. 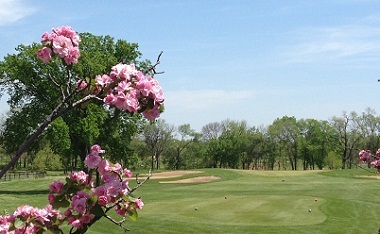 Thank you for choosing to book your tee-time on DuPageGolf.com. We sincerely appreciate your business and look forward to providing you a exemplary golfing experience throughout our preserves.